The grimdark world of Athas is not one for the weak or foolish. The gods are dead, water is scarce and civilization is ruled by evil immortal sorcerer kings. A group of disparate wanderers and vagabonds find themselves drawn together by a cursed artifact while on a caravan bound for the city state of Tyr. But even in the relative safety of the city, they cannot pull away from the artifact and mysterious forces that seek their destruction. 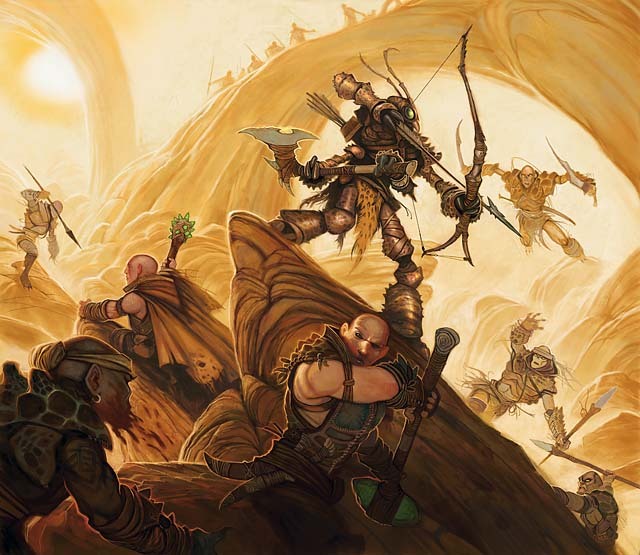 This episode combines the first two sessions of the new RPPR Dark Sun campaign.